Let’s take you to our study site, historically pretty chilly… but it’s been getting warmer recently so the wetlands are expanding and you’ll need your rain boots. Situated near Abisko in Northern Sweden is Stordalen Mire, a discontinuous permafrost region undergoing rapid thaw. This unique site has a mosaic of thaw stages, from intact palsa hummocks supported by permafrost, to a fully thawed fen. There is a lot of interdisciplinary expertise around here. 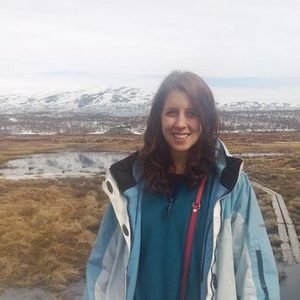 The nearby Abisko Scientific Research Station has been in operation for over 100 years, monitoring the site and supporting an international array of climate scientists, ecologists, biogeochemists and even microbiologists. Big science takes big teamwork. Over recent decades, palsas in northern Scandinavia have been shrinking. As the once-frozen soil, a rich source of carbon, thaws, the hummocks subside and transition into anaerobic wetland environments suited to greenhouse gas-producing microorganisms. These areas were carbon stores, but are now becoming net carbon sources through the generation of methane, a potent radiative forcing gas. Methane is the by-product of microorganisms, specifically Archaea called methanogens. 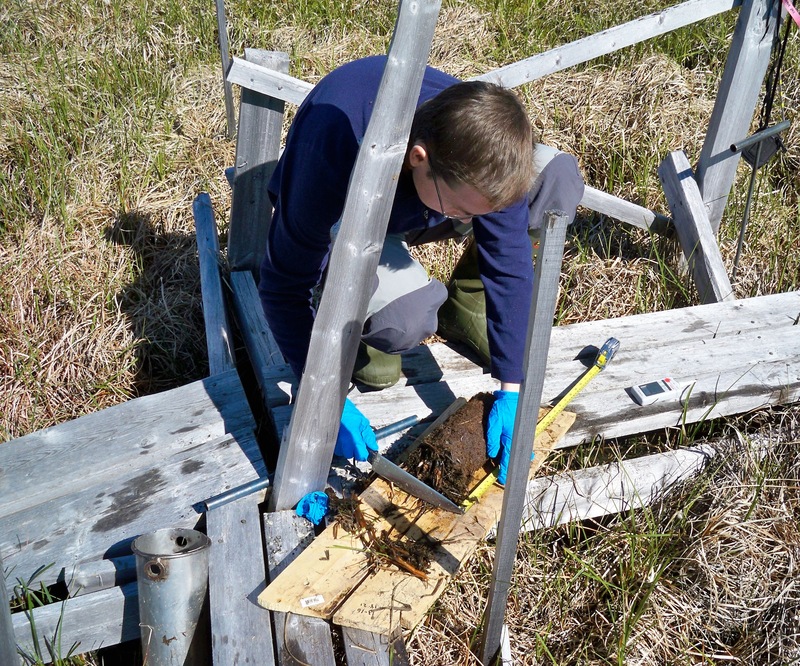 However, the production of methane is dependent on an entire trophic network of microorganisms degrading the soil organic matter, which includes both the freshly-thawed peat and new inputs from plant growth. Research of the IsoGenie team (isogenie.osu.edu), described in this article, exposes the changing microbial constituents of this network at the genome level, through the recovery and analysis of 1529 genomes, providing detail not previously possible for a complex and heterogeneous soil environment. Carbon degradation starts with breaking up the complex building blocks of plant material, xylan and cellulose, followed by simple sugars, such as xylose and glucose. These are degraded further through central carbon metabolism, and in the anaerobic conditions, via fermentation with the products hydrogen, carbon dioxide and acetate passed to methanogens. While methanotrophs (methane eaters) lie in the more oxic areas, acting as a methane filter, measurements from the site show that there aren’t enough of them and methane flux is increasing. Different microorganisms from a wide range of phyla are involved in various parts of this network across the thaw gradient. Metagenomics, the analysis of in situ genomic data, enabled us to determine exactly who is there, metatranscriptomics and metaproteomics allowed us to determine what is actively happening, and carbon isotope data permitted us to link microbes to the physical system. All 1529 recovered genomes have not been described before, originating from uncultivated lineages, and even phyla, such as the recently discovered Candidatus Dormibacteraeota and Ca. Eremiobacteraeota, and the poorly characterised but widespread Acidobacteria. Over 50 new genomes were recovered for the methanogen class first described at this site, Ca. Methanoflorentales. Several of these new species (a new Ca. ‘Methanoflorens’, as well as Ca. ‘Changshengia’ within the Dormibacteraeota and Ca. Acidiflorens within the Acidobacteria), were linked to the biogeochemistry of the thaw gradient showing that uncultivated groups likely have a significant impact on methane emissions in these areas. Viruses are also key contributors to Stordalen Mire biogeochemical cycles; ~2000 viral populations originating from the site are described in this paper published today in Nature Microbiology. Using the genome-centric metagenomic approach, we now know many of the microbial members involved in each stage of carbon processing at each stage of thaw, and we are beginning to see the consequences of their actions on the wider biogeochemistry. 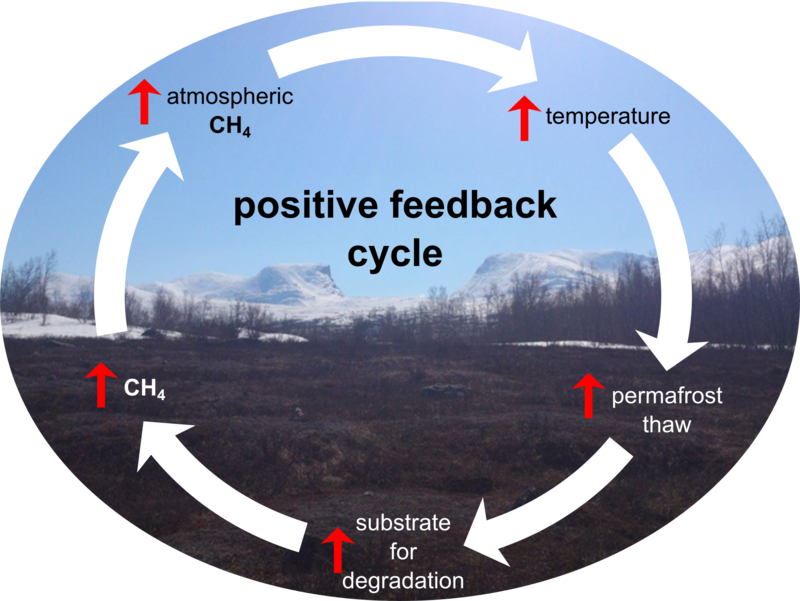 The microorganisms are part of the permafrost thaw environment, and their response to thaw contributes to a positive feedback cycle of warming with far-reaching implications. The next non-trivial step is to monitor changes as they are happening over time and to figure out how to integrate this wealth of information into modelling so we can predict and adapt to change into the future. The IsoGenie team. Photo by Miguel Martinez Mercado. Poster Image: Stordalen Mire research site. Photo by Moira Hough. This post includes contributions from Ben Woodcroft, Gene Tyson and Virginia Rich.